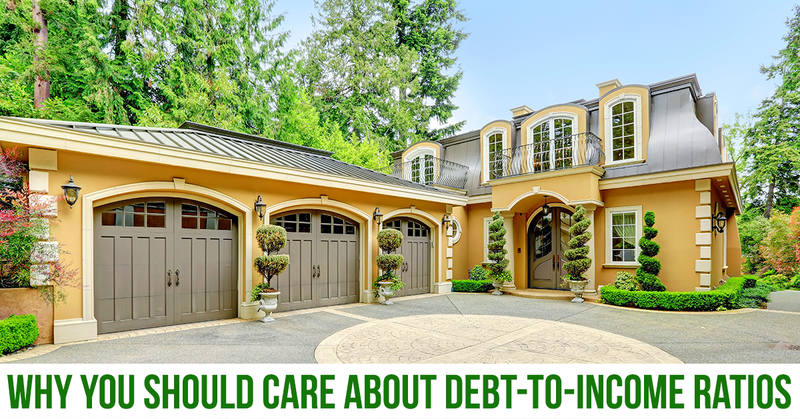 Your debt-to-income ratio plays a large role in whether you’re ready and able to qualify for a mortgage. This figure, the percentage of your income that goes toward paying your monthly debts, helps lenders figure out how big a monthly mortgage payment you can handle. It’s as important as your credit score and job stability, if not more so. This ratio, known in the mortgage industry as a DTI, helps you answer the question, “How much house can I afford?” and is a useful guide for mortgage lenders trying to figure out how much you can borrow. But your DTI is not the whole story — it leaves out unavoidable monthly expenses such as food, utilities, transportation costs and health insurance, among others. It’s important to keep those obligations in mind as you evaluate your ability to afford a home. The front-end ratio, also known as a household ratio, is the dollar amount of your home-related expenses — your proposed monthly mortgage, property tax, insurance and homeowners association fees — divided by your monthly gross income. The back-end ratio includes all the other debts you pay each month — such as credit cards, student loans, personal loans and car loans — in addition to proposed household expenses. Back-end ratios tend to be slightly higher, since they take into account all of your monthly debt obligations. Lenders tend to focus on the back-end ratio for conventional mortgages, loans that are offered by banks or online mortgage lenders rather than a government program. If your front-end DTI is below 28%, that’s great. If your back-end DTI is below 36%, that’s even better. When you’re applying for a nonconventional mortgage, like an FHA loan, lenders will look at both ratios and will consider DTIs that are higher than those required for a conventional mortgage: up to 31% for the front end and 43% for the back end. Sometimes lenders will even allow the ratios to go slightly higher. Ideally, though, you’ll want DTIs that are as low as possible, regardless of the lender’s limits. A lower DTI will help your credit score, which will in turn allow you to get a lower mortgage interest rate. Although DTIs are important in getting a mortgage, they’re not enough when it comes to helping you figure out what you can afford, says Ira Rheingold, executive director of the National Association of Consumer Advocates. Since DTIs don’t take into account expenses such as food, health insurance, utilities, gasoline and entertainment, you’ll want to budget beyond what your DTI labels “affordable.” Aiming below the 36% back-end target is ideal. This is especially important since your DTIs count your income before taxes, not what you actually take home each month. The higher your DTI, the more likely you’ll be to struggle to make your monthly mortgage payments. You’ll want to lower your DTI not just to qualify for a mortgage and buy the home you want, but also to ensure you’re able to pay all your debts and live comfortably at the same time. While a pay raise at work is another way to lower your DTI, it’s not safe to rely on something that might not happen. That’s why it’s better to avoid taking on more debt and work on whittling down the debt you have. If your debt-to-income ratio is exceptionally high — say 50% or more — you probably should wait on a home purchase. “There’s nothing wrong with saying, ‘I need to wait another year before I buy a house,’” Rheingold says. He suggests getting your finances in order first so that you present yourself as someone with good credit and not a lot of overhanging debt. Before you sit down with a lender, using a home loan calculator is one way to figure out how much house you can afford.